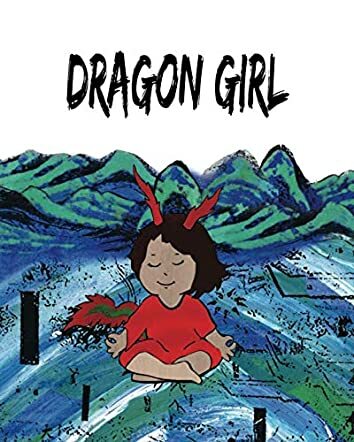 Meet Dragon Girl, the little princess who lived in a mystical palace deep under the ocean in a faraway place in Dragon Girl by Jade Bryan. She was kind and wise, and had all the toys in the whole kingdom. She ate yummy foods daily and had the biggest, most beautiful jewel in a thousand million worlds. Dragon Girl felt something was missing and she felt as if she was trapped in a dream. Nobody around her could feel that the world outside was a beautiful place. They were all distracted by the beauty and riches around them. Everyone around her was sleeping and Dragon Girl wanted to wake up. She worked very hard toward it. She was kind to everyone, she was very wise, she meditated, and analyzed her thoughts and feelings. Would Dragon Girl wake up and how does that happen? This book conveys a lot of beautiful thoughts. It has the four ribbons which show awareness of the different issues facing the world and messages; that of empowering the girl child, girl power, making the world a better place, and familiarizing readers with Buddhism and the teachings of Siddhartha Gautama (Buddha). The story will also encourage readers and give confidence to girls to wake up to these issues and tackle them effectively. The illustrations are whimsical and the color and radiance give positive vibes and bring the story alive, making the concept vivid to readers. It is a beautiful book for parents and tutors to use in classrooms and at home to motivate children into tackling the issues around them and making the world a better place for everyone.